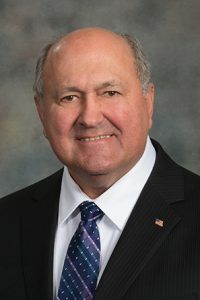 LB270, sponsored by Omaha Sen. Rick Kolowski, would appropriate an additional $750,000 in state general funds in fiscal year 2017-18 and FY2018-19 to the state Department of Education to be used for the ELO program. The competitive grant program currently receives $250,000 annually in state funds to provide educational and enrichment opportunities for K-12 youth when they are not in school. Grants require a one-to-one match from community partners. Kolowski said ELOs have focused on science, technology, engineering and math (STEM) programming, health and wellness, career exploration, community engagement and agriculture. ELOs are especially important in Nebraska, he said, which has one of the highest rates in the nation of children with both parents in the workforce. In 2016, he said, the program funded 11 projects that served 1,489 students across the state. “These programs are an investment in our future and will save the state money,” he said. “We have volumes of data over a longitudinal time period that would show you the differences this makes in the lives of those kids [and] their families,” Kolowski said. Jeff Cole testified on behalf of Beyond School Bells, the statewide ELO network, in support of the bill. A young person spends 80 percent of their waking hours outside of a formal classroom environment, he said, so it’s important to provide positive learning experiences during those hours that will enhance regular classroom learning. According to a national study, he said, ELOs have been successful in the state in helping young people develop an identity as STEM learners. That foundation is important to inspire young people to become creative problem solvers and set them on the right path for their futures, he said. “Nebraska youth showed the highest gains in the nation in these important measures of how participation in ELO STEM activities support the development of a strong STEM identity and interest in STEM careers,” Cole said.